Sheldon is a wise-cracking Doctor of many things and sayer of many iconic lines. 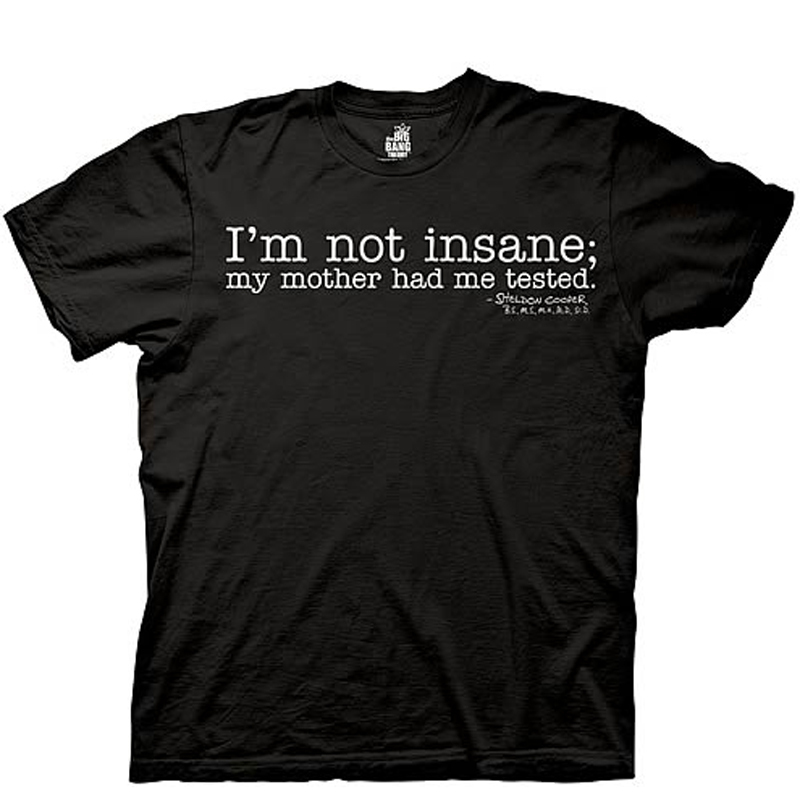 One of our favorite, probably because it applies to pretty much our entire team is "I'm not insane, my mother had me tested." 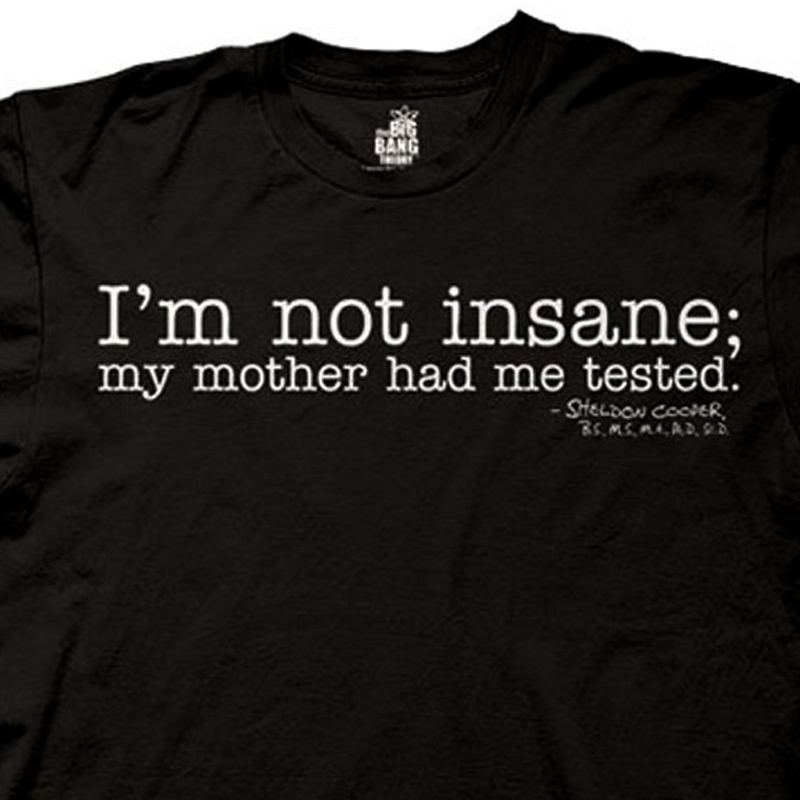 Get this wonderfully accurate statement on this awesome, black shirt and let it be known that you are in fact a genius. Feature: - 100% cotton. Black with white text. Adult mens fit.